Hi Makati! Are you ready for some plant-powered cooking? 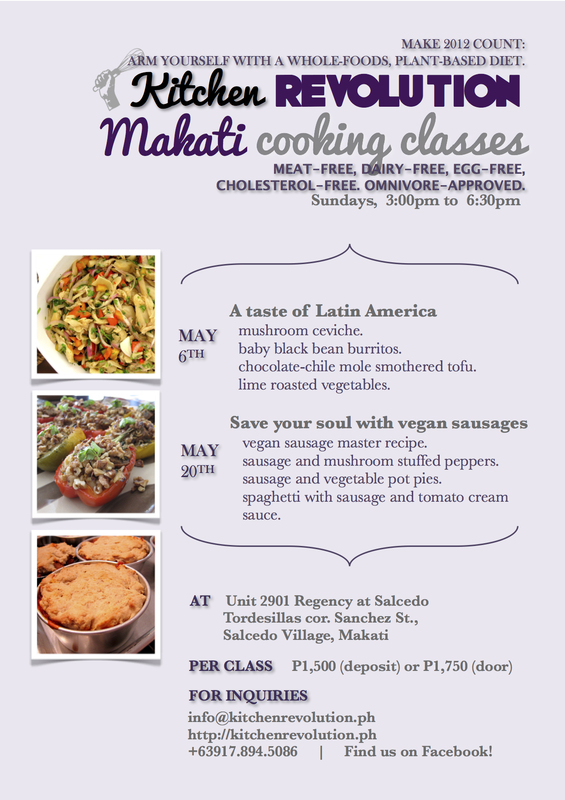 I’m bringing 2 of my most popular classes to your city this May! Check it. Sign up. Eat well. Photos on past cooking classes here although the Kitchen Revolution Facebook page is more updated. Summer cooking classes for kids is upon us! Read the blog post here, check out the brochure here.